WE COME TO YOU! Our on-site technicians can travel directly to you for installation. Call 203-284-3800 to get started! 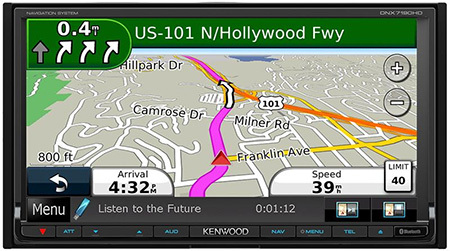 Why install a car stereo with built-in GPS? Imagine taking a trip as your car's receiver gives you directions, finds the best places for food, and plays movies for your onboard passengers. In-dash Navigation receivers cover all the bases: GPS guidance, DVD playback, touch-screen control and a host of other useful features. You can search through millions of points of interest to locate gas stations, restaurants, museums, and other interesting spots, wherever you are. 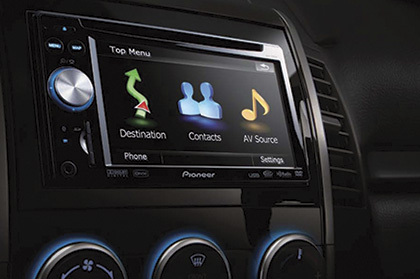 Receivers by Kenwood and Pioneer offer Bluetooth capability for hands-free calling, voice control - making it safer to navigate digital media while driving, and the ability to connect with your smartphone devices. For professional installation of your In-dash Navigation system, call on the Solutions Specialists at Mobile Electronics. Our experts will help you connect your devices and provide instruction of the units features and operation. Getting from door to door is easy with a Navigation system. Let our experts steer you to the right system for your needs. No more struggling with maps or deciphering cryptic directions from a friend. Stop second-guessing, "Are we heading the right way? ", "Did we pass the turn?“. If you have the address of your destination, the In-dash GPS Navigation system will get you there without a hassle. You'll safely arrive on time, completely relaxed and without needing to make excuses. Point-of-interest locator for area attractions. 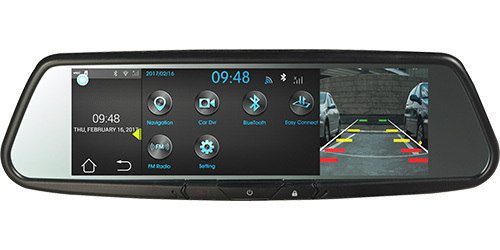 The RVM740SM is an industry-first design, incorporating smart rear-view mirror with dash cam video recording, Bluetooth connectivity, rear and side view camera functions with an optional iGO navigation system. Get Started.  Click here to fill out the online application or text MobileE to 57597 to apply. All company logos and product names are trademarks or registered trademarks of their respective companies.